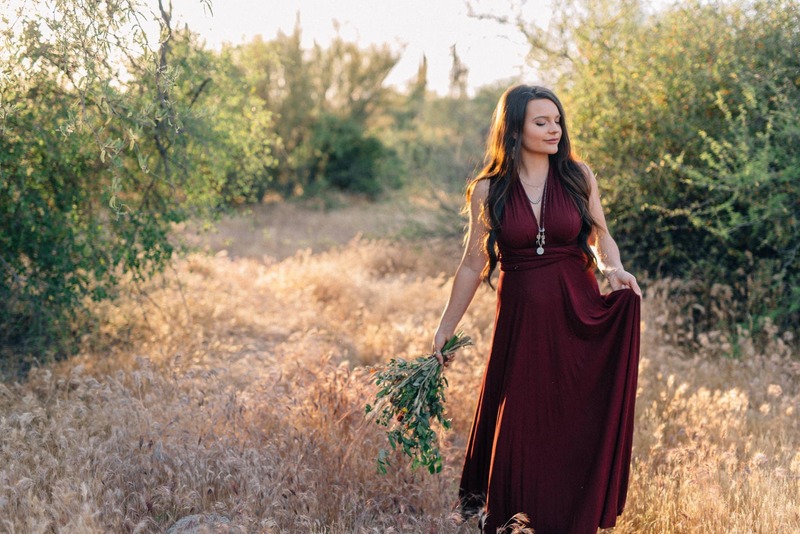 A few months ago, Sierra at Blackfern Events (my new BFF- she just released her new site and she’s way cooler than me) & I planned out a shoot in one of our favorite places- the Superstition Mountains. 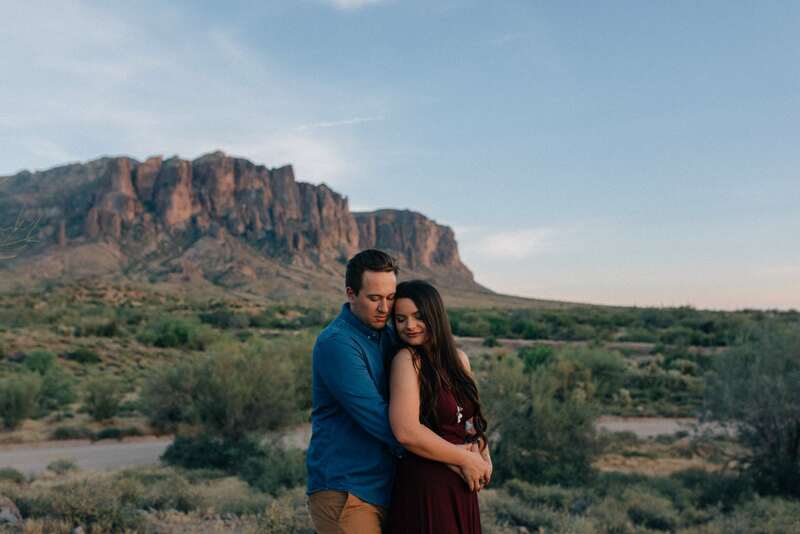 We are so grateful that they are in our backyards and are the perfect place for an elopement. 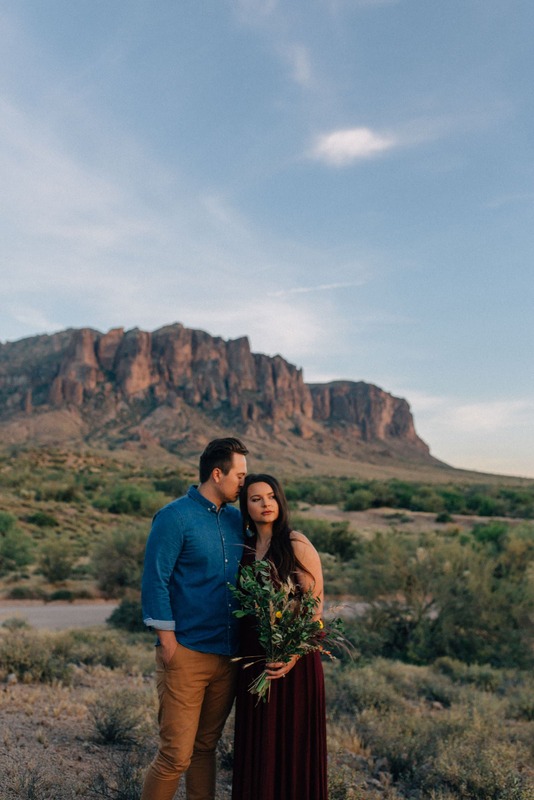 We wanted to show off the potential of the Superstitions as a gorgeous backdrop and also inject a little alternative style into the typical styled elopement shoot. 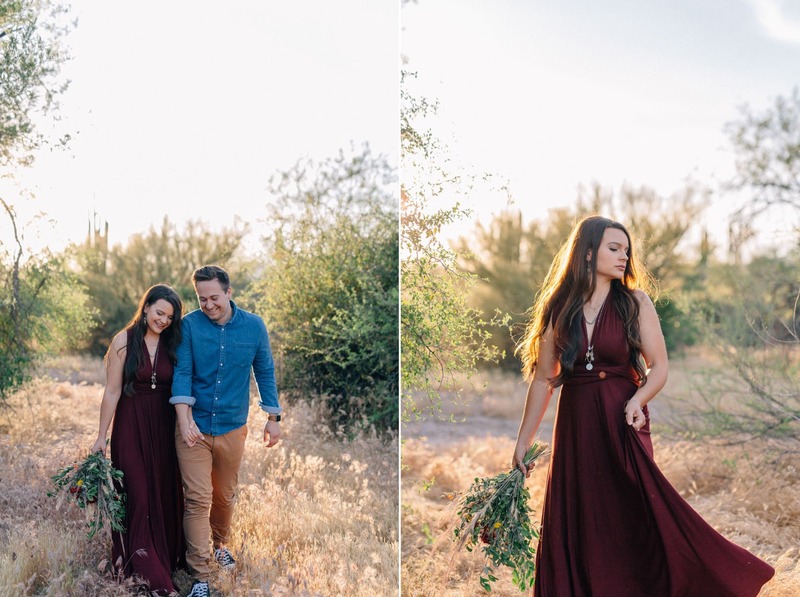 A gorgeous deep red dress really picked up the surrounding warm colors of the desert with a slight boho edge without being to cliche. 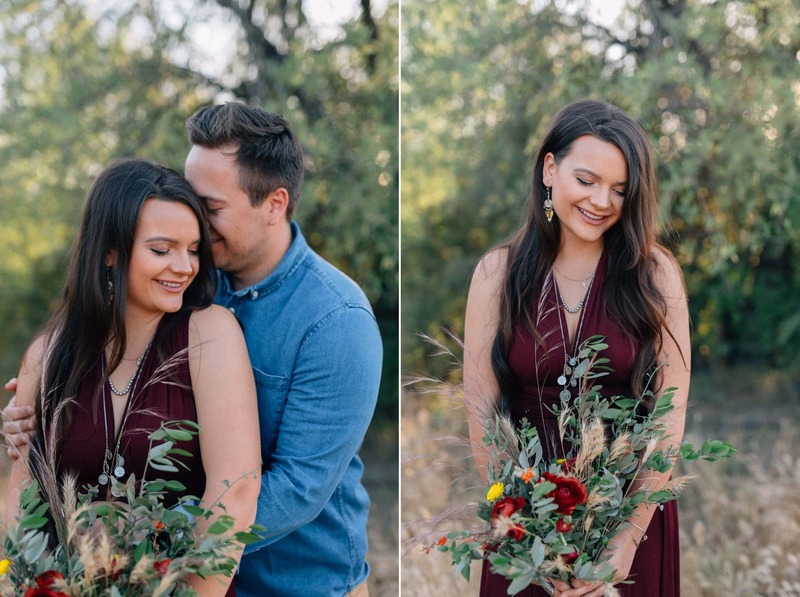 Karlie & her hubby graciously modeled for us and were perfect and super natural in front of the camera. Karlie’s a photographer as well and had modeled for several shoots so that is to be expected of course! Sierra & I put together a DIY bouquet with some deep burgundy ranunculus from Trader Joe’s and some foraged desert flowers- definitely ok in a pinch but I’d definitely recommend having a professional florist make one if flowers are important to you. They add a great touch! 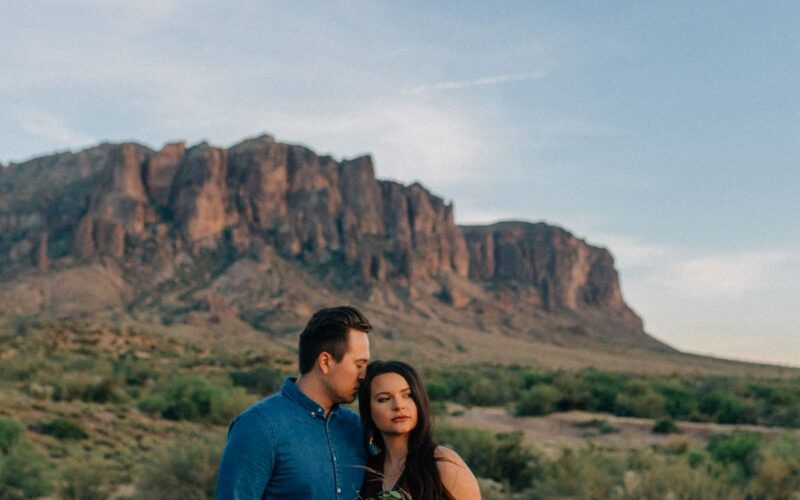 The Superstitions really can’t be beat though as far as a backdrop in the Phoenix area. They’re close, get amazing color at sunset, have hiking options for those of you who are super adventurous or have many trailheads if you just want something easy. 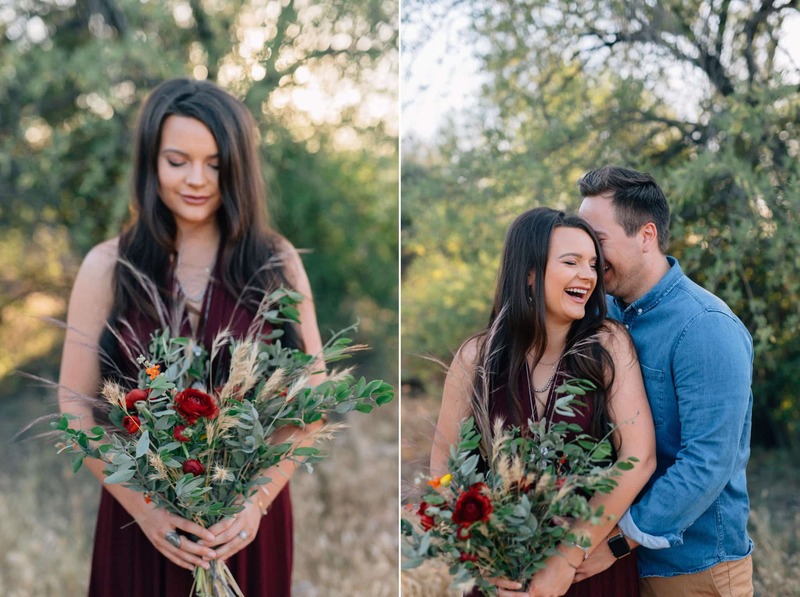 Red is a lucky color in a lot of cultures and I think it’s a fantastic color for an elopement dress. You can find similar dresses on Lulu’s along with some amazing traditional white dresses for an elopement. I seriously wish I could buy almost everything on Lulu’s- it’s that amazing. 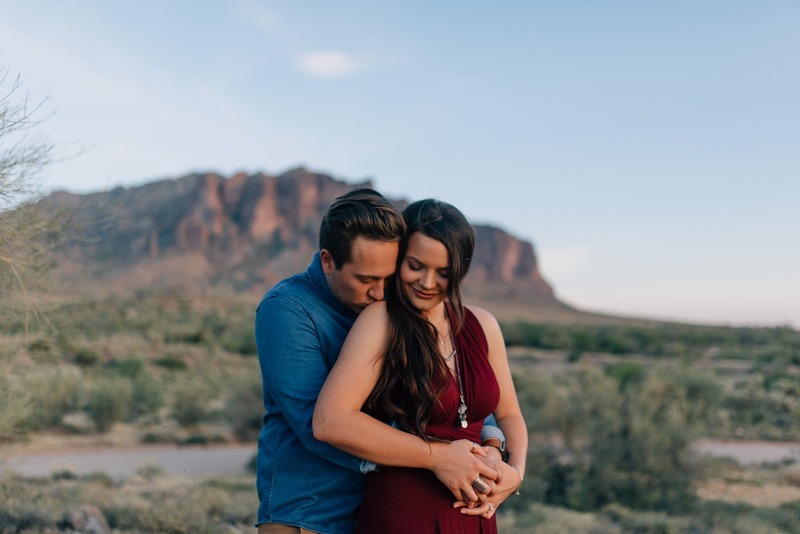 Are you eloping and looking for some location ideas & tips? 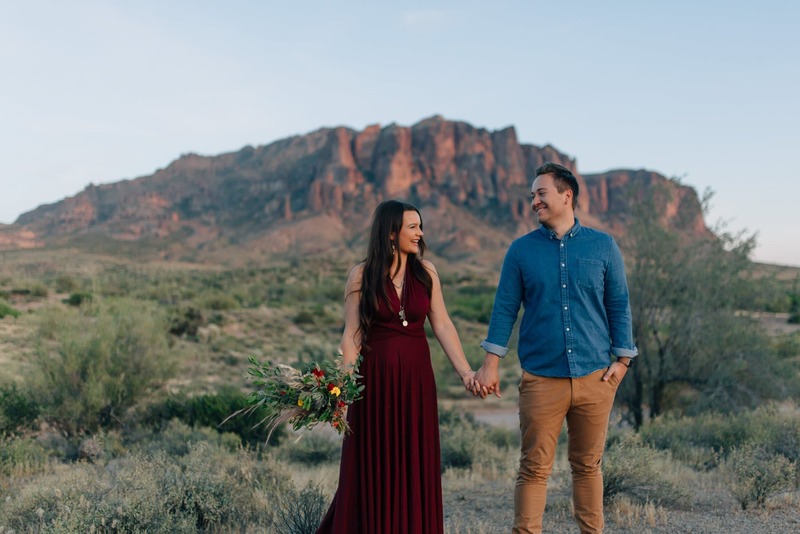 Check out my Arizona elopement guide with tons of locations and sign up to get my elopement planning guide packed full of tons of info on how to plan your Arizona elopement to be as stress free, gorgeous and most “you” as possible.